You did? well you know she’s alright. She’s my sweet, say she’s not and I’ll fight. And I’ve handed the key to my sweet, sweetheart. For hist’ry is known to repeat. In a brown stone with my little sweet. For Dolly on the train. When Dolly’s on the train. My Dolly on the train. For them to move or else he’d take them in to keep the peace. And all had worked industriously, were hungry and could eat. But they were jolly newsboys and began to laugh and shout. He told the boys some joyous news that put them in a trance. Was placed before the newsboys on this merry Christmas day. 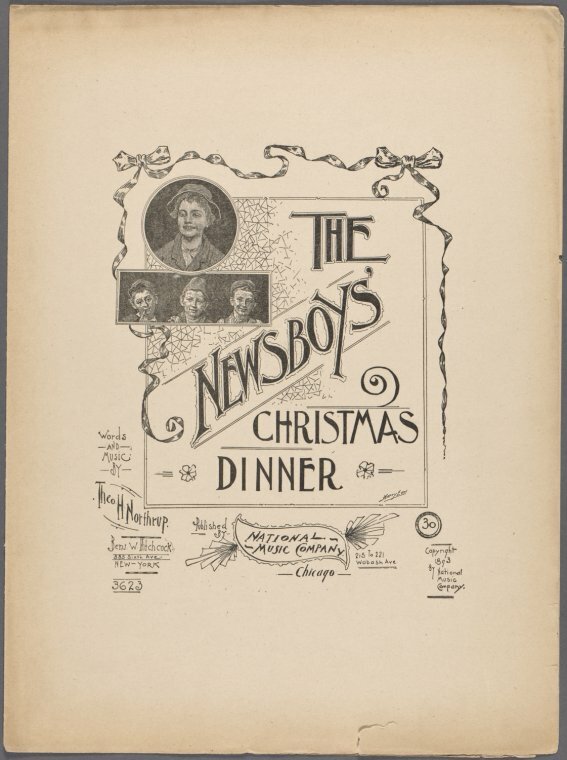 “The Poor Little Newsboy,” written four years later, shares many similarities to “The Poor Little Newsgirl”: dead fathers, ill mothers, selling papers in bad weather to support them as best they can, an ending full of pathos. 1886, by T. B. Harms & Co.
I’ve not sold a paper, I have not a cent! So buy one, I’ll thank you so much if you do. Lies dying while striving his mother to save. 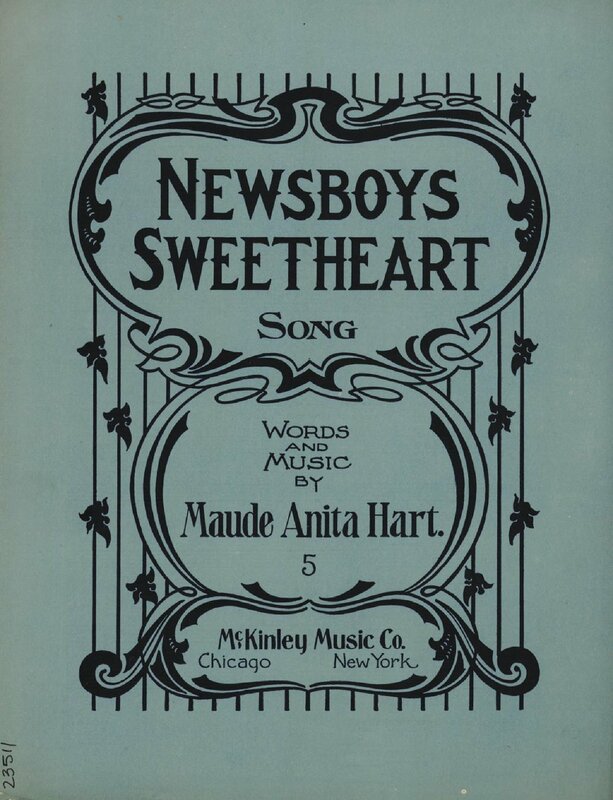 This song is a slightly different version of sentimentality towards newsgirls than that shown in “They All Love Maggie Grady.” Maggie’s story has a happy ending, whereas this heroine has more in common with Hans Christian Anderson’s little match girl than Maggie Grady. Up at the gray of the morning. And toiling ’till far in the night. “Help me, for Mother is dying! With voice that is pleading and sweet. Only a poor little newsgirl. Wildly the snowflakes are falling. And wrapping the streets in a shroud! Please buy a paper to help me. With face that is pallid and cold! Who sleeps in her soft icy bed.